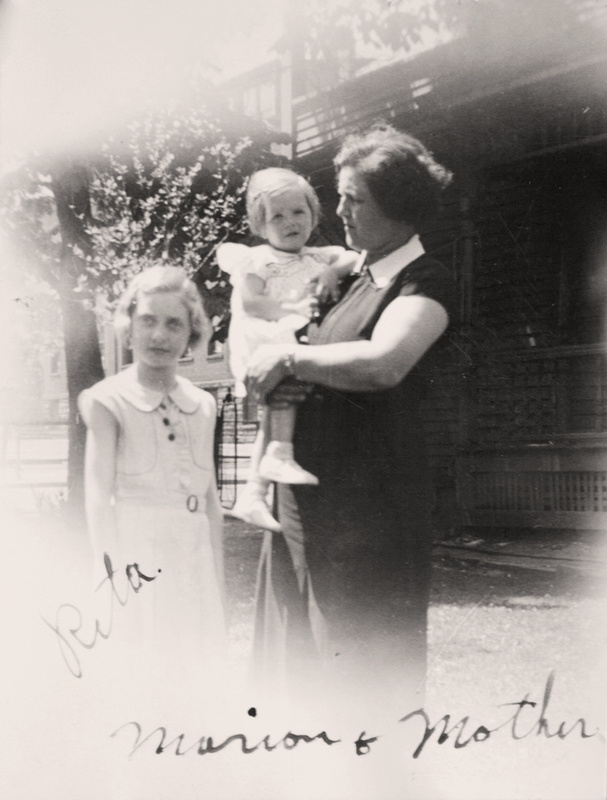 Helen Tillie Bukowski photographed with her daughters Marian Elaine Murosky and Rita Ann Murosky. Helen is holding Marian. The photograph was likely taken in 1936. Helen Tillie Bukowski is my great grandmother. Rita Ann Murosky and Marian Elaine Murosky are my great aunts. Ritan and Marian are the sisters of Arthur Murosky my paternal grandfather.